Jackets for Men- Complete Your Winter Outfit with Perfection! As the winter sets in, the chilly winds start reminding us to bundle ourselves in a cozy winter jacket just right for the frosty weather. Jackets for men are ultraconvenient when it comes to shielding from the bitter cold winter winds. There is a wealth of men designer jackets every season and it is hard to pick out one. There is the bomber jacket, denim jacket, men leather jackets and many more. So how do we find the perfect jacket for us this winter season? 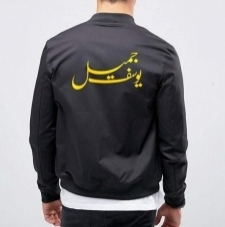 Affordable.pk has come forward with the best men jackets online so there is something for everyone to choose from. Narrowing down your options for finding the right jacket for men begins by understanding what you are looking for. Winter jackets for men have a variety of uses according to the weather demands. A coat would be apt for fighting the coldest temperatures that can also hold your valuables. If you need something for indoors, that must be a stylish leather jacket. Finding this will make the jacket selection painless. Affordable has gathered some of the best winter jackets for men and presented them online to make a straightforward choice for you. 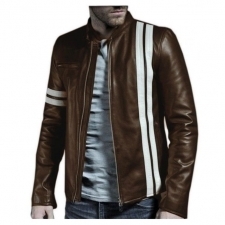 Men casual jackets are your best bet if you have an active lifestyle. They come in functional designs and more pockets for all your regular stuff. Then there are winter jackets for men that are meant for outdoors. They are made with tough fabric that is water-resistant and it can handle tough weather conditions. These men’s jackets can keep you insulated from blizzards. Breathability is sometimes missing when it comes to the winter jackets for men. 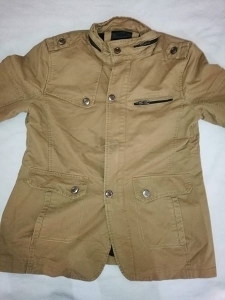 Besides their durability and other features, the mens jacket styles by Affordable features what is missing in other’s collections besides offering the best jackets price in Pakistan. Some mens jackets are also meant for mild weather conditions but they have an all-rounder feeling to them. They can handle the cold temperature. Other jackets have hoodies that make them necessary for winter. But jackets are more than just a winter shield. They are the one fashion staple that serves more than just tucking us from winter winds. To upgrade your wardrobe this season, we have a variety of mens jacket styles ranging from leather jackets for men to denim jackets. Our leather jackets are some of the best fashion variants. They would look incredible when paired with blue jeans. A jacket design not to miss this season would be a bomber jacket. Over the years, they have become a winter essential. They exude the basic fashion feel among men. They outshine every other style when it comes to casual comfort. With the swank and comfort, they are a must-have for your closet this season. A winter without a denim jacket would be incomplete. They are uber-cool and the black jacket or blue denim jacket with a Sherpa collar offers an extra touch of fashion. Suede jackets have also made their way this season. With their fine details and style, they definitely make a case for being a fashion staple this season. Our jackets will give you enough impulse to insulate you against the winter cold. You can enjoy the weather in a stylish manner this season with our men jacket collection. Jackets are the best ensemble for this winter season. They are not only perfect for indoor and outdoor use but when paired with the right accessories, they can be an ideal ensemble for any social meetup. Affordable.pk is offering the best men’s stylish winter jackets that you can find anywhere. So hurry up and scroll through our collection of winter jackets for men to enjoy winter.